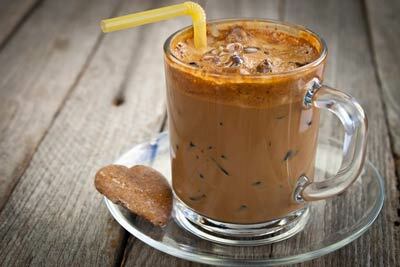 A MAX Iced Espresso is the perfect party drink to make for safe drivers and coffee addicts. Everyone will love it, it can be made in advance and kept in the fridge till you are ready to serve. And for those who are craving something a little more adult, go ahead and shake the party with the MAX Espresso Martini – live dangerously! The key to great ICED coffee is making sure you have a full bodied and robust Arabica coffee – MAX summer blend espresso is perfect. The day is steaming hot, take the weight off your feet long cool Coffee, … yummy summer treat! Half fill chilled tall glass or shaker with crushed ice, cover with milk till ¾ full. Pour cold espresso over and add sugar to taste. Shake or stir well and sprinkle with chocolate. Martini purists may scoff, but do you care? Melt the chocolate in a heatproof bowl over simmering water. Dip the rim of a martini glass in the chocolate, or dot the chocolate around the rim. Chill. Half fill martini shaker with ice. 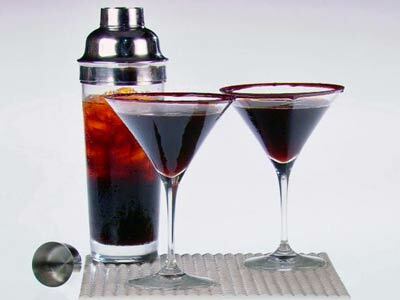 Add vodka, kahlua, cold espresso and crème de cacao; put on lid and shake (four good shakes is ample). 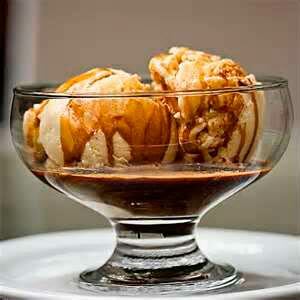 Place icecream scoops in glass. Pour over steaming hot espresso. WHEN A CIVILIZED MAN REQUIRES A CUP OF COFFEE, its not because he needs to drink coffee but because he has felt the urge to renew his contacts with humanity. This is a ritual, a religion, and no one is going to persuade me that it can be replaced by a machine that swallows a coin and spits out some anonymous liquid with no taste and no smell..."